- May have a few scratches on casing but in full functional order. 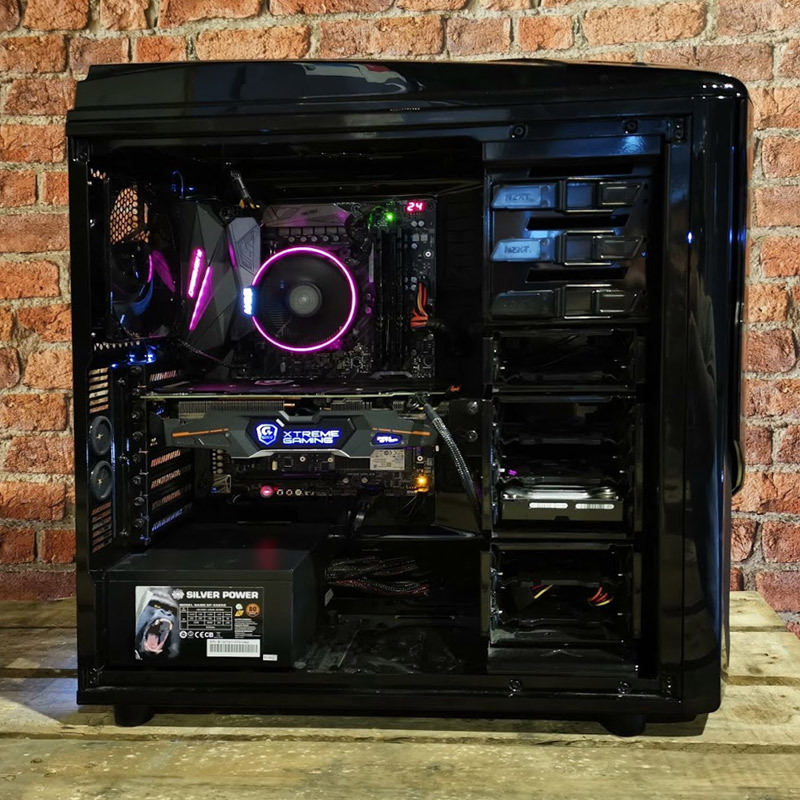 This is a system made of a mixture of some used parts and some new, but giving great performance for its price point. System has been throughly tested and is ready to go with a clean install of Windows. Price shown includes a new Windows 10 OEM license, although this can be removed (deduct £98.40 inc VAT) if Windows license is not required and system just to be left with blank disks. This system is a mixture of trade-in and ex-display parts, although the RAM, Processor and Windows license are brand new, fresh out the wrapper. 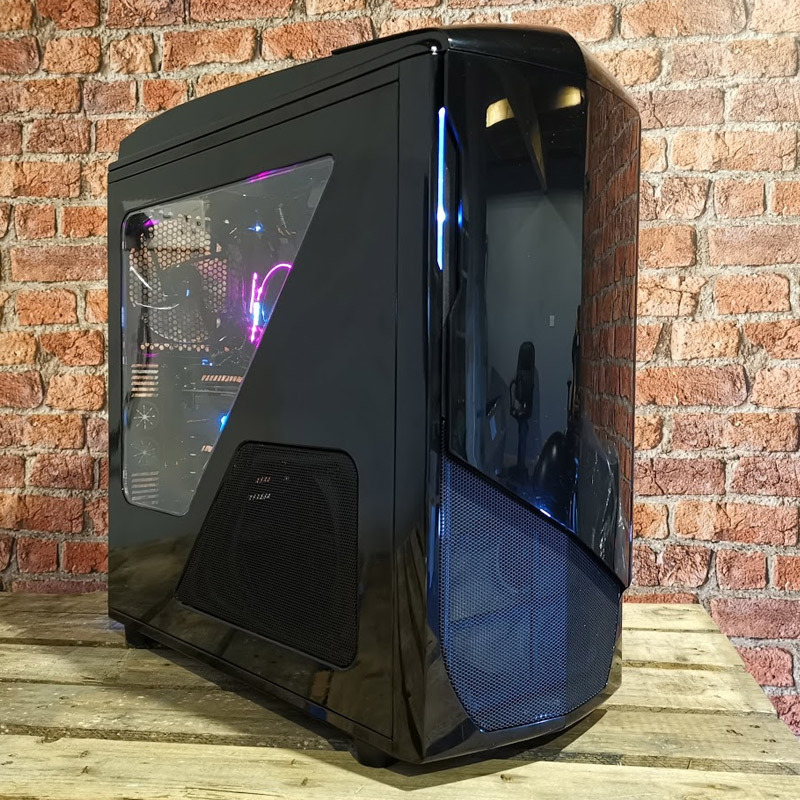 A great performing high-end gaming PC that outclasses any new system at this price point, and will play AAA games at great detail and frame rates. 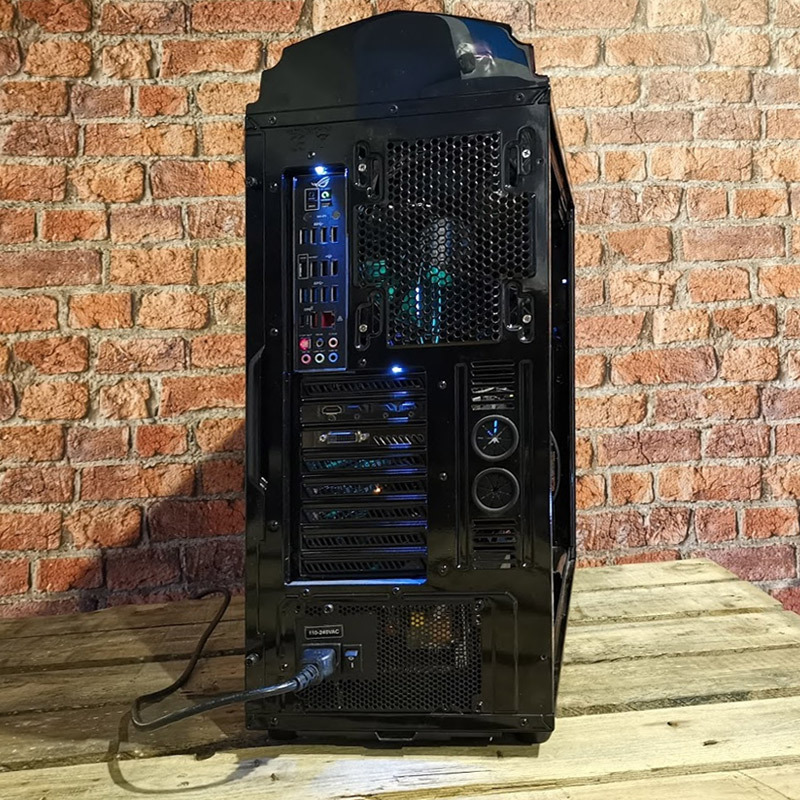 Includes both 256GB NVMe SSD for ultra fast startup and 1TB hard disk for games storage, plus a top-end motherboard from Asus that retailed for over £200 last year, so it includes top performance audio, LAN and USB support. 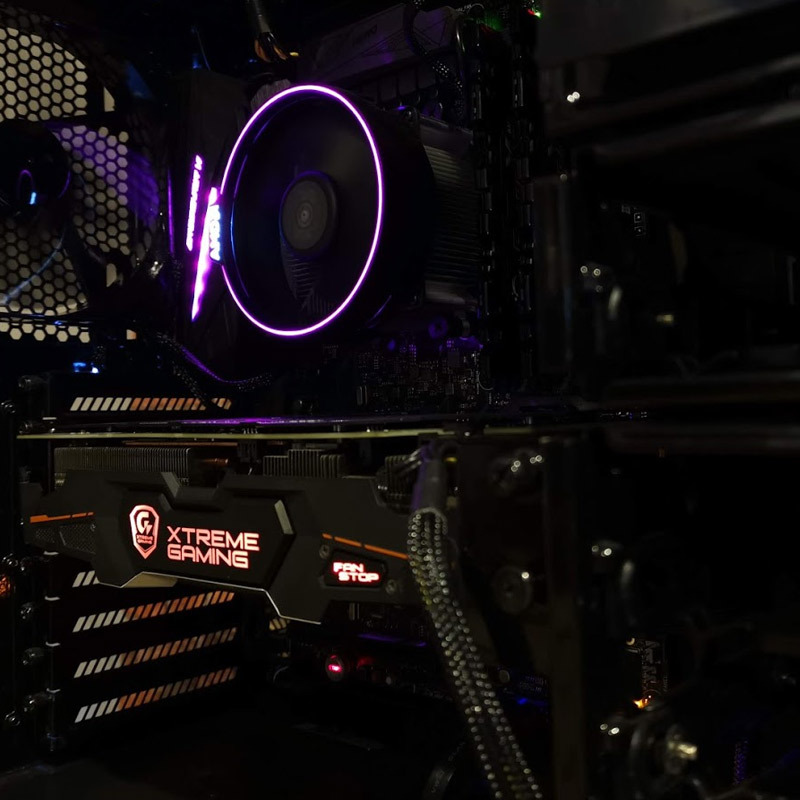 The system is illuminated with RGB motherboard features and a RGB CPU Cooler. For comparison now, typically a system of this performance new would cost £1150+.